Run by Amanda Wray Ninneman, Hazel Street Creative is a graphic design studio based in southeastern Minnesota, serving the Minneapolis / St. Paul; La Crosse, Wisconsin; and Decorah, Iowa areas. 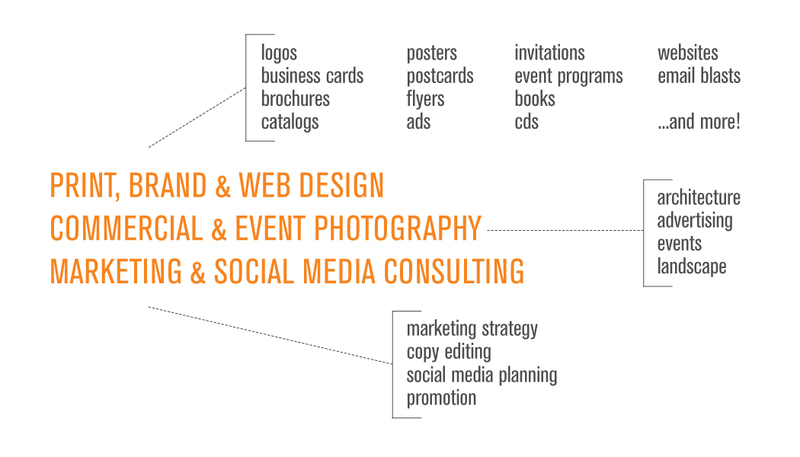 Whether it’s a brochure, advertisement, business card, website, or social media presence, your client’s first impression of your company is driven by the professionalism, coherence, and suitability of your branding and design. Hazel Street Creative provides affordable, full-service design, marketing, and commercial photography services, which means that your company will benefit from a seamless identity, strengthening your visual impact, and underscoring your quality services. Your logo is the foundation, and therefore the most important, visual piece of your company. It should reflect your company’s expertise, energy, and style, and it should be immediately recognizable. Because your logo appears on everything, great care should be taken in its design, and implementation across the rest of your marketing materials. Letterhead, business cards, envelopes, annual reports, even stickers: every piece of your company should radiate your brand cohesively. Your website is perhaps the most important tool to reach out to clients. Generally it’s the first place clients go to find out more about your company. In order to put your best foot forward online, your website design should have great visual impact, yet be very easy to use. Hazel Street Creative also offers assistance in SEO, as well as affordable web hosting packages for design clients who prefer to keep all things web-related under one roof. One of the key components of a successful marketing campaign is a simple one: good photography. You can have a well-designed website, but if the photography is terrible, the user experience is terrible. Hazel Street Creative offers affordable commercial photography services, including architectural and landscape photography, event photography, product photography, and more. Hazel Street Creative is also extensively experienced in professional photo retouching and photo-shoot art direction. Catalogs, posters, advertisements, brochures, invitations, event marketing, labels, email blasts, even books and music packaging: no matter how you reach out to your clients, your pieces will make the biggest impact when they are well-designed. Your marketing materials reflect on your company just as much as the all-important website or logo; Hazel Street Creative devotes the same care and creativity to each piece, no matter how large or seemingly small. Need help building your marketing strategy, mapping out content, designing your promotional campaigns, and identifying the best social media avenues for your company? Hazel Street Creative offers marketing and social media consulting, and particularly loves working with small businesses, helping you choose the most effective marketing strategies for your own unique brand.